Should You Become An Auto Insurance Agent? Selecting a career path that is challenging, interesting and stable can require some careful thought and consideration. Among the choices that can provide stability and the opportunity to grow within the industry is becoming an auto insurance agent. Understanding the potential benefits and downsides of the career can make it easier to determine if it is the right job for your career goals. A car insurance agent has the opportunity to grow and thrive by expanding the clients that he or she assists. Furthermore, clients often return to the same agent to insure additional cars. By building up a solid client base, it is possible to improve income levels and grow within the business. Even though there are growth opportunities, the challenges of meeting client expectations and competing with other agents can make it an interesting job. The benefits make it a good position, but it is not the career path that is best for every person’s goals. Before you can determine if a job is appropriate for your goals, you must understand the potential downsides. Since insurance is required for every vehicle that your clients drive, it is possible to find clients and recommend different options. The downsides primarily depend on the company and the type of work that is required; however, you can expect the income to directly relate to the policies that you have sold. If you find it hard to communicate with clients or you do not feel that you have the persistence to keep asking for individuals to consider the insurance policy, then it may not be the best job for your skills or goals. The exact requirements that you must meet as an auto insurance agent can vary between states; however, you should have a high school diploma or higher before you start looking for a job in insurance. Some companies may prefer a bachelor’s degree, and it is usually best to have a degree in a related field such as finance or economics. Many states will also set strict licensing requirements, but the exact standards will vary between states. Setting up a career that is competitive, challenging and stable can seem complicated in an economic environment that is recovering from a recession, but there are interesting jobs in auto insurance that can be appropriate choices for your goals. An auto insurance agent is a professional who understands the needs and goals of clients and strives to provide excellent services to sell them the best policy. As Vice President of Sales in the Midwest, Kim oversees all aspects of our sales, service, and customer retention programs for Illinois Vehicle Auto Insurance. Her market stretches from the far north, west and south suburbs of Chicago, to Indianapolis. Kim is a proactive leader with initiative and works diligently with her teams and customers to ensure a strong bond is built between our customers, and the teams she works with. Outside of work Kim is a tremendous cook, she makes an outstanding “arroz con pollo”, for her three daughters and husband. Kim is an advocate, and very passionate about the education, care, assistance for special needs children. During baseball season you can find her rooting on her beloved White Sox. 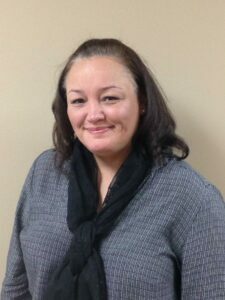 Kim has been the Vice President of Sales in the Midwest since 2008.